2012 was a rather productive year for me, I have never painted so many miniatures in a year before. It saddens me that I have played very few games (a couple of games of Blood Bowl, a game of Brink of Battle and half a game of Cavern Crawl). 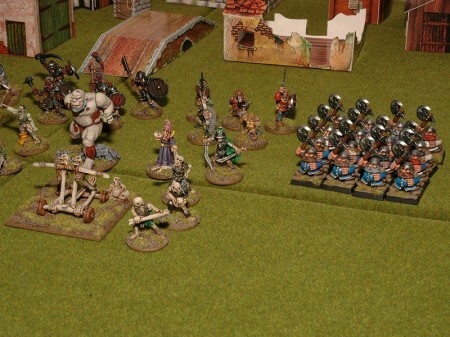 Here’s a review, based on my 2012 plan and the half year review. This was the biggest achievement for me this year. Not only did I paint more than one model a week on average; including the commission Paul v2 did for me I’ve had nearly two models finished per week. Not too bad! 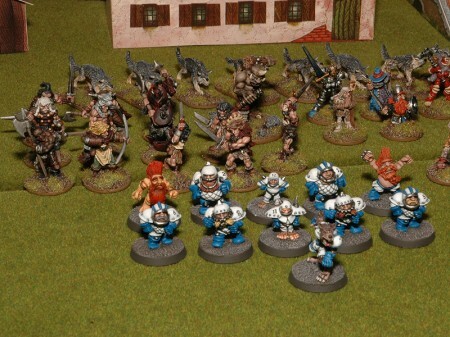 The total tally for 2012 ended up being 89 painted – 254 acquired = -165. Could have been a bit better if I hadn’t slumped completely during the end of the year. I did finish a few of the Doom Forgers, but not the whole team. Of the 89, 13 were painted by others (or well, other… Paul v2 who did my barbarians). 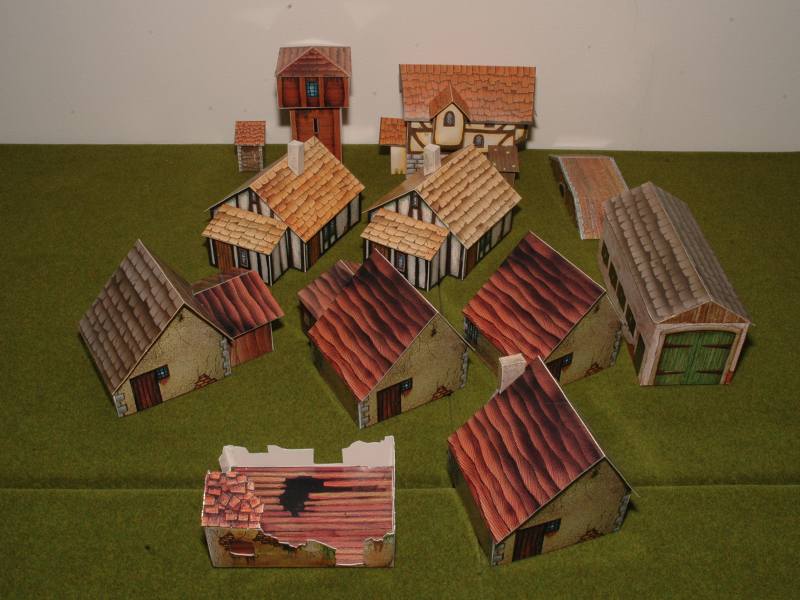 Aside from the models painted, I assembled 12 cardboard houses (or other structures). Zombies, a few more adventurers and uruk hai. 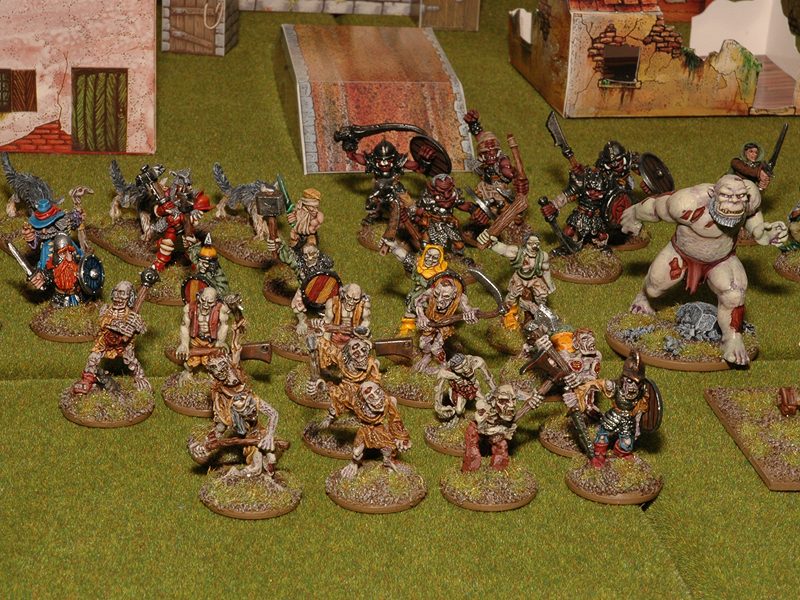 Zombie hulk, LOTR fellowship, skullchucker and crew, some undead personalities and sixteen plastic dwarfs. I made some progress on Stillburg, but since we didn’t play any game in the campaign this year I haven’t really focused on it. Posted battle reports of scenario 2 and scenario 3. 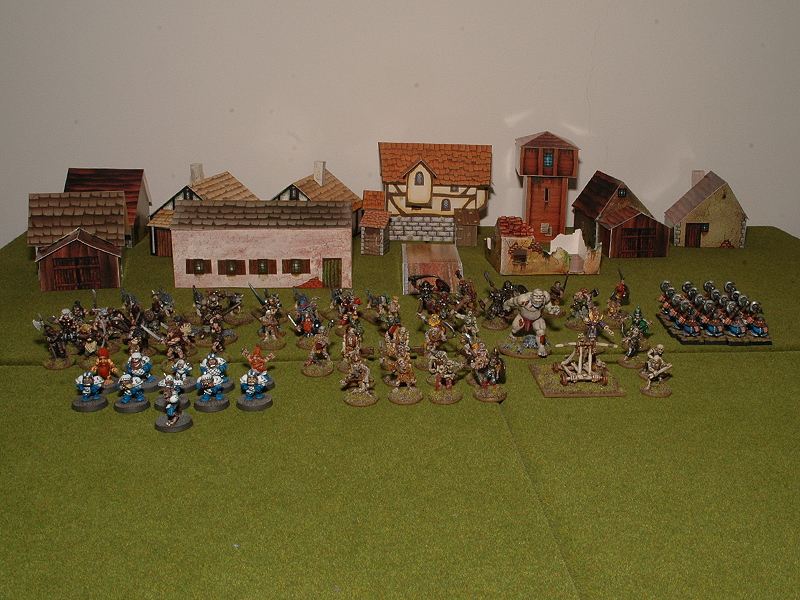 Finished all models for scenario 4, including civilians and hero reinforcements. Write up the background fluff and scenario details. Built A LOT of houses for Stillburg town. 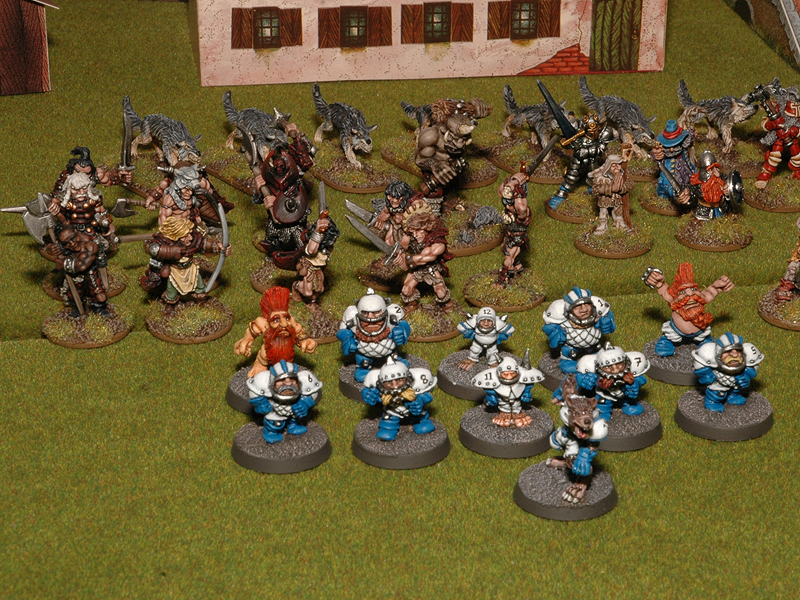 Finished rebasing a few models, it’s hard work breaking them free from their coin bases. I will finish the rest in 2013. Finished in the front, as posted earlier. Still to do, the ones out of focus. 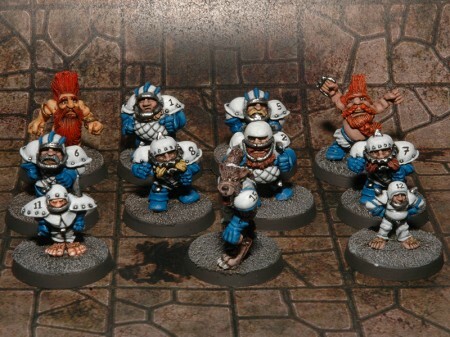 I’ve nearly finished the Doom Forgers’ starting roster, but the last few months I’ve been struggling with the dwarfs of the team. 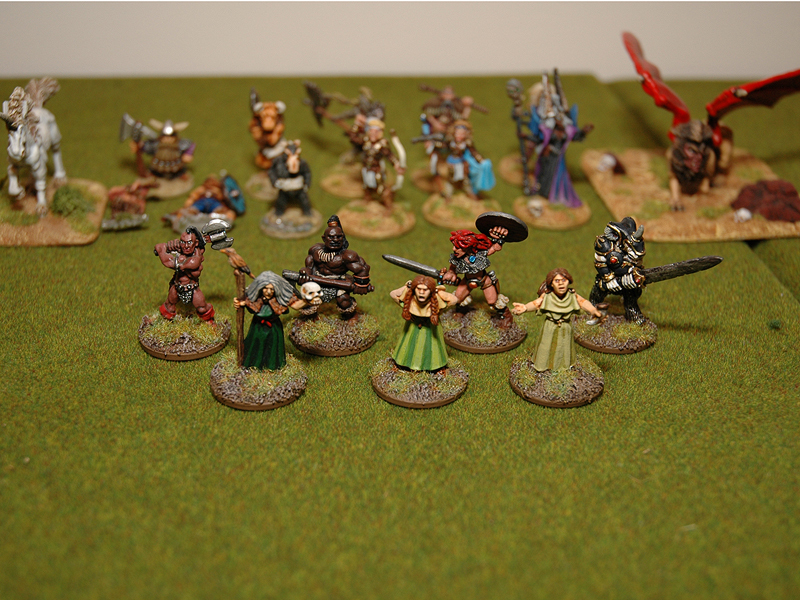 I have finished 11 of the 16 models, two of the remaining are almost done and three are merely primed. Expect a post displaying them all in a not too distant future. Not only Puggy’s glare is bad… sorry about that. I played a game of Cavern Crawl, which I really liked. I’ll give the new edition a spin. 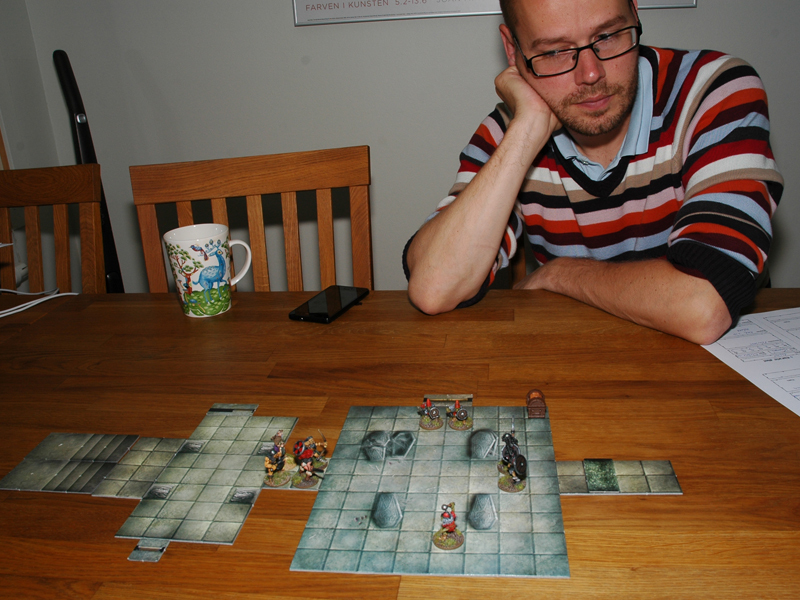 No progress on the dungeon furniture, but I’m hoping to enlist my wife as an assistant in painting them. My cousin, enjoying himself thoroughly with Cavern Crawl! I’ll return in a week or two with a plan for 2013. Hope you all had a fine new years eve and that 2013 is a year full of little lead men. New years resolution: No posting of received models, I’ve found them to be quite annoying myself when back-tracking through the months.